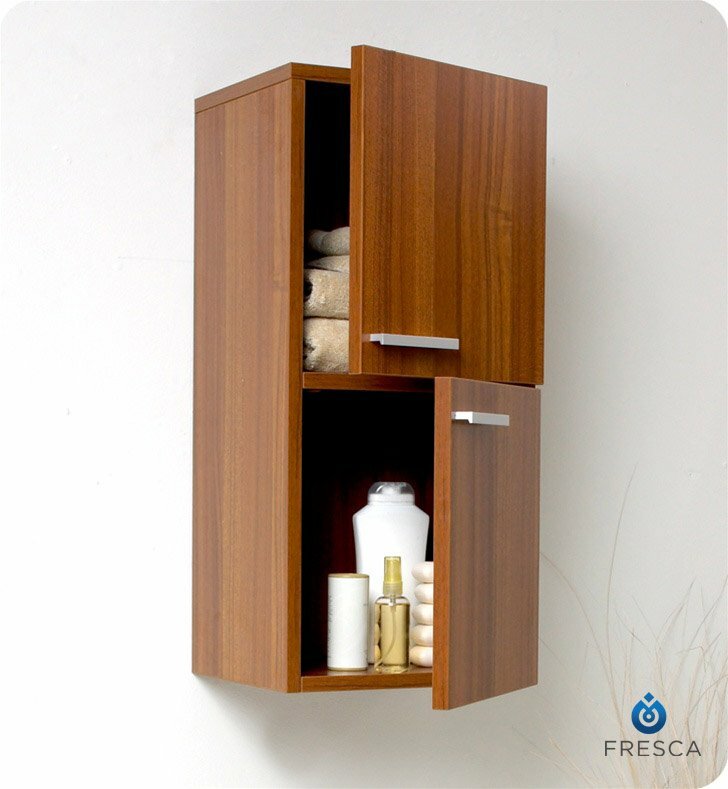 Teak finish makes a bold statement when you add the FST8091TK Fresca Teak Bathroom Linen Side Cabinet to your powder room. The rich wood grain and sleek lines can match the existing decor, or you can build a whole new look around them. 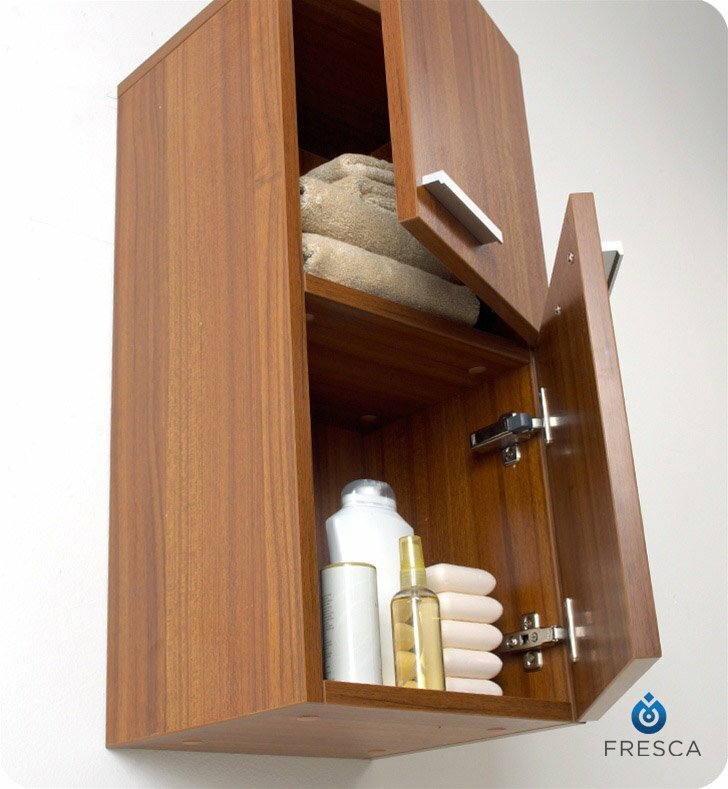 This linen storage cabinet has two doors with metallic handles, each of which covers a single storage space for your towels or toiletries. 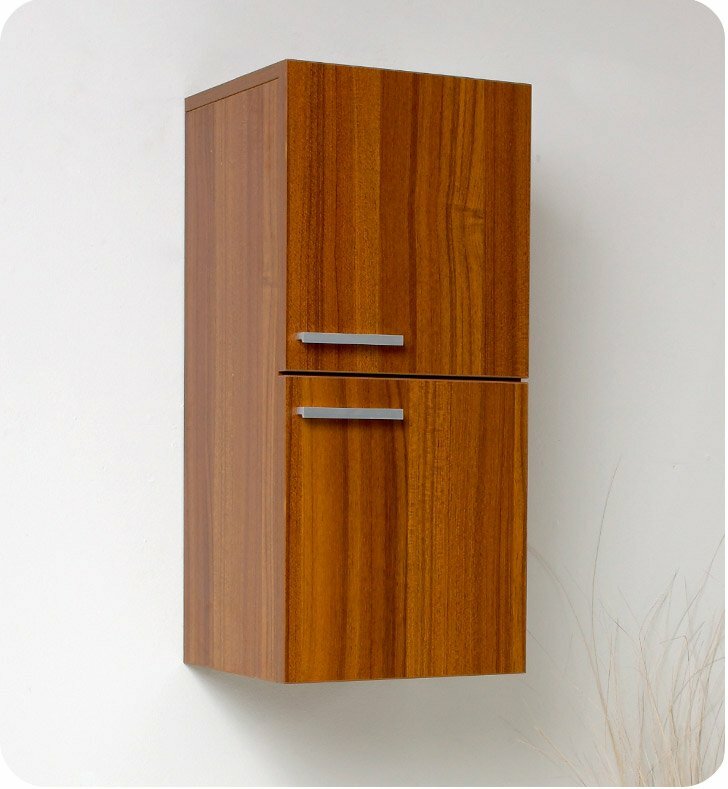 Install this W 12 5/8" x D 12" x H 27 1/2" linen cabinet furniture on either side of your mirror for a coordinated look. Dimensions:W 12 5/8" x D 12" x H 27 1/2"